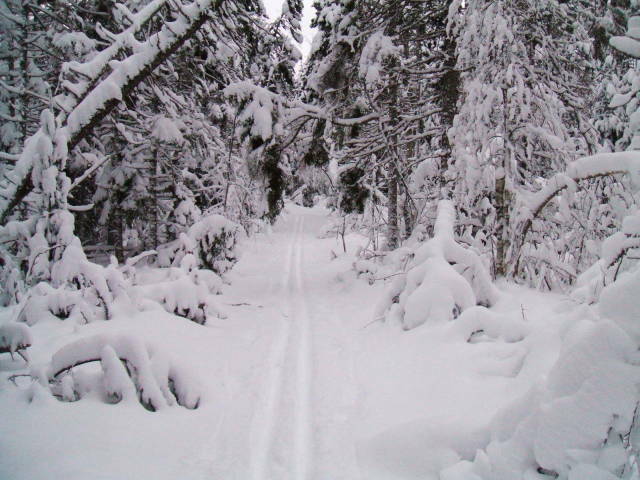 Extremely variable weather in late Novemeber and early December. 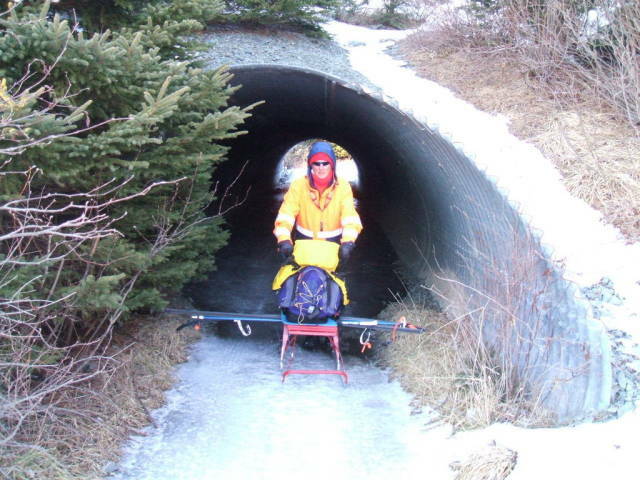 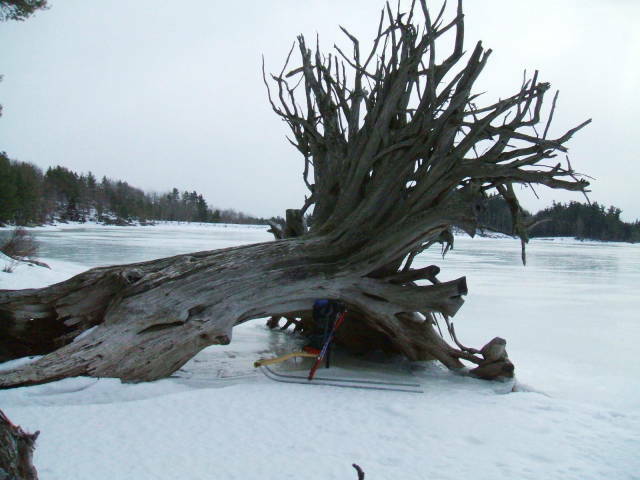 This week the temperature varied from -10 to +20 with heavy rain, heavy snow, high winds. 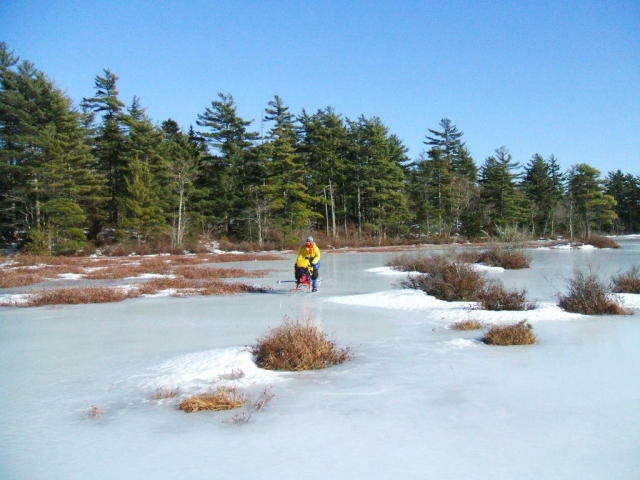 Dec 7- Dec 8 we got about 20 km of snow followed by a day of -10 C. I skied to the small pond, called Little Lake and found that the snow cover had almost completely slushed down and refrozen. 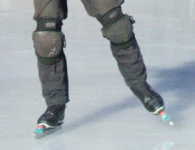 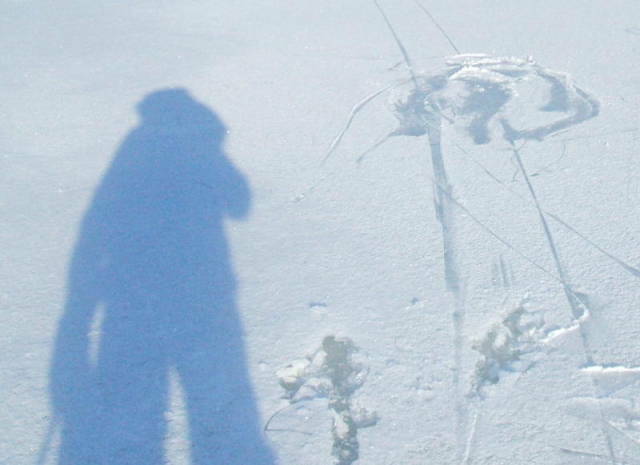 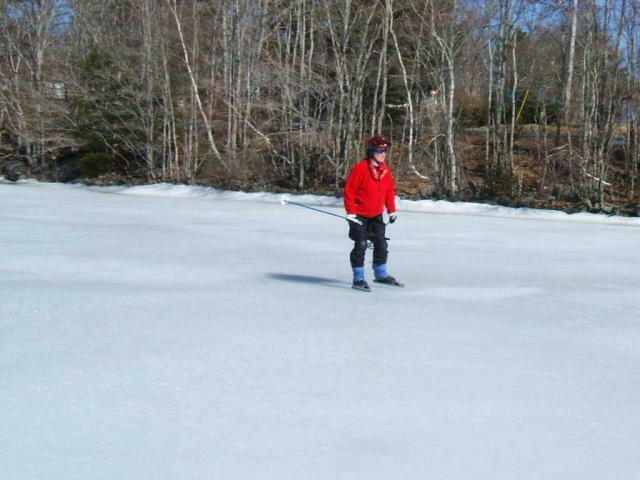 I skated about 10 laps of the pond, probably 4 km. 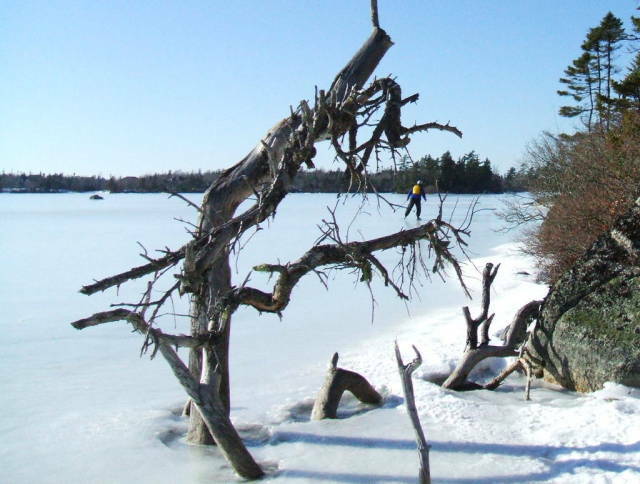 Jan 21, Open water in the Sound There's always open sections here, but it was possible to find a path. 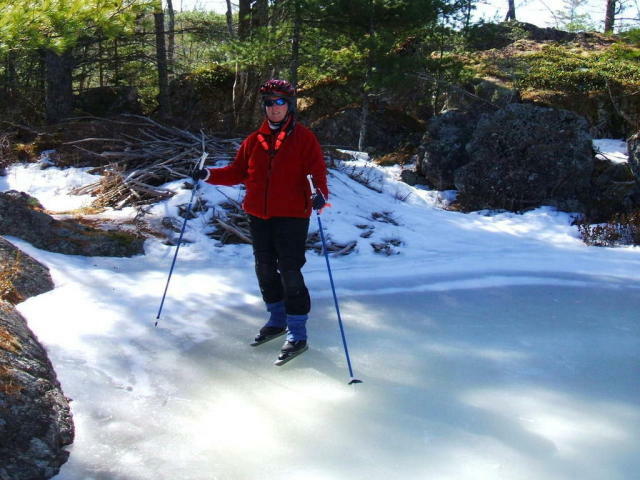 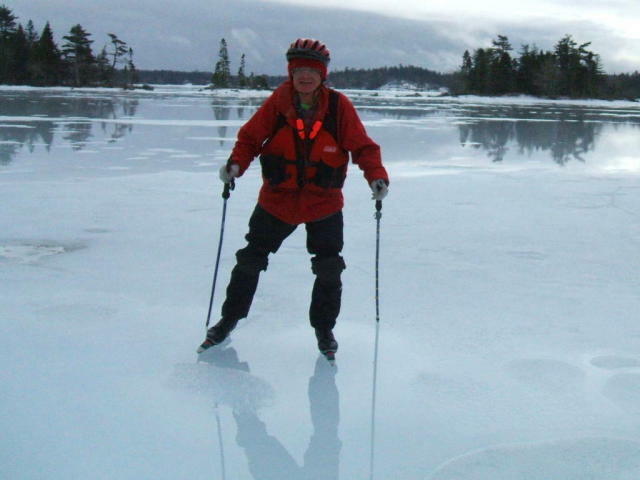 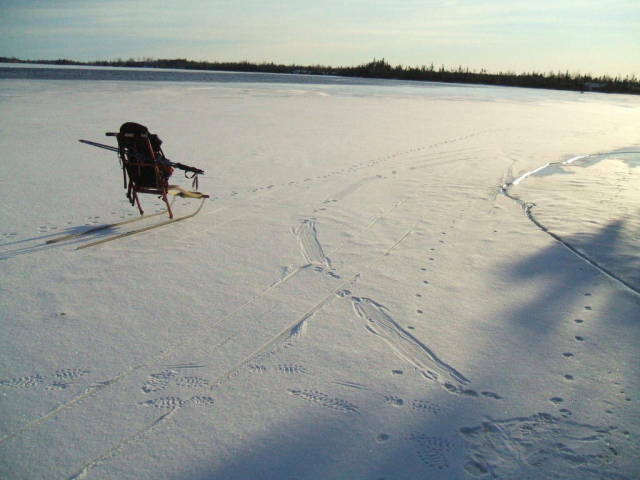 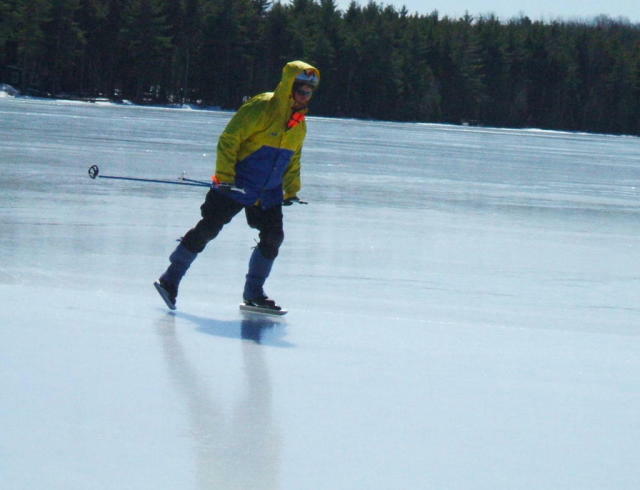 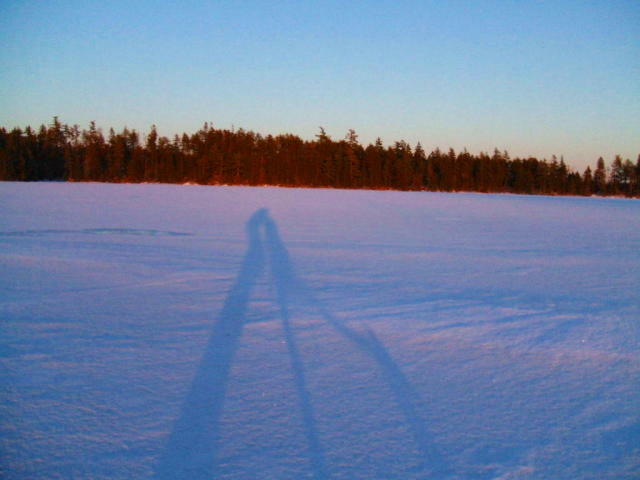 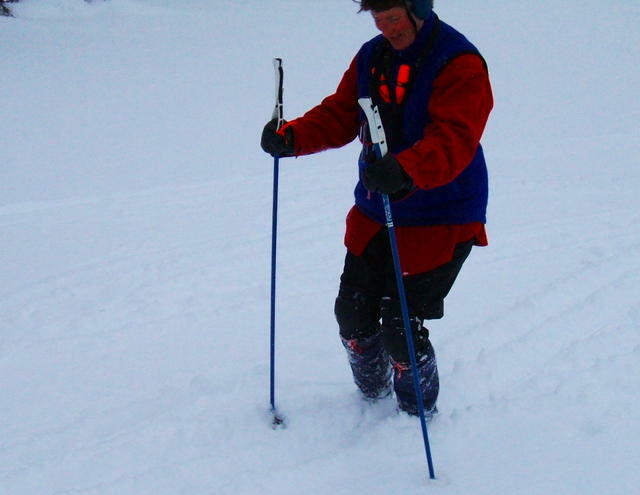 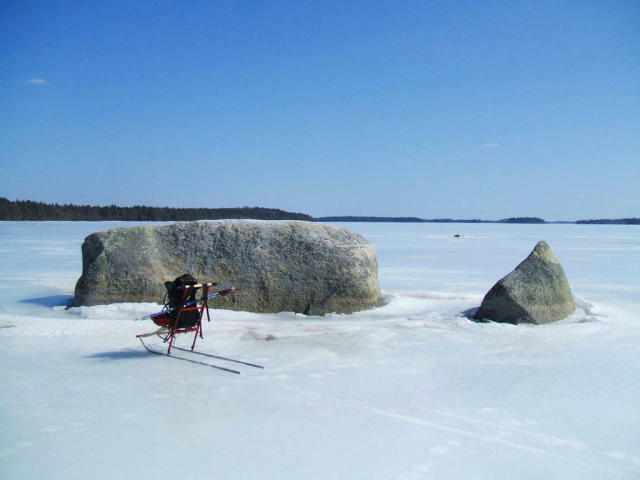 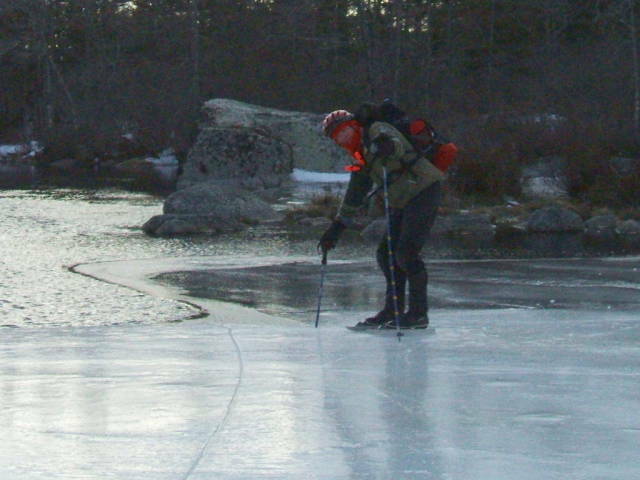 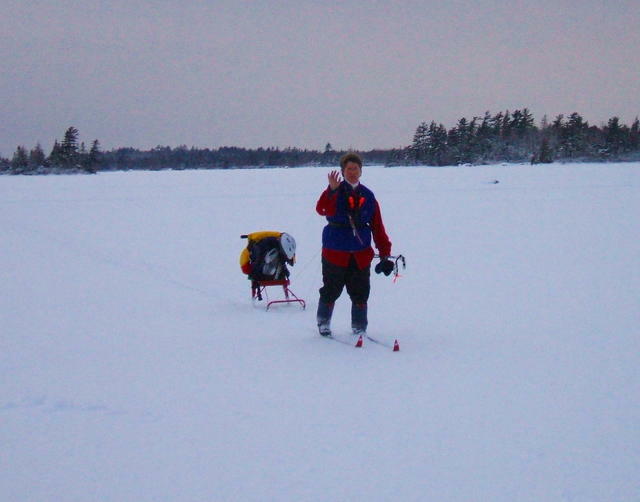 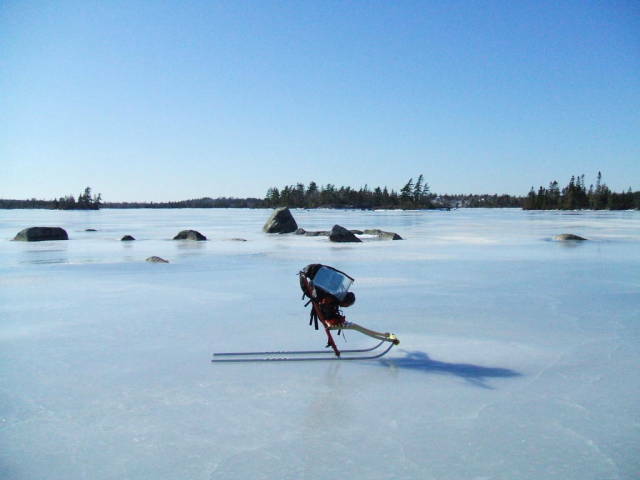 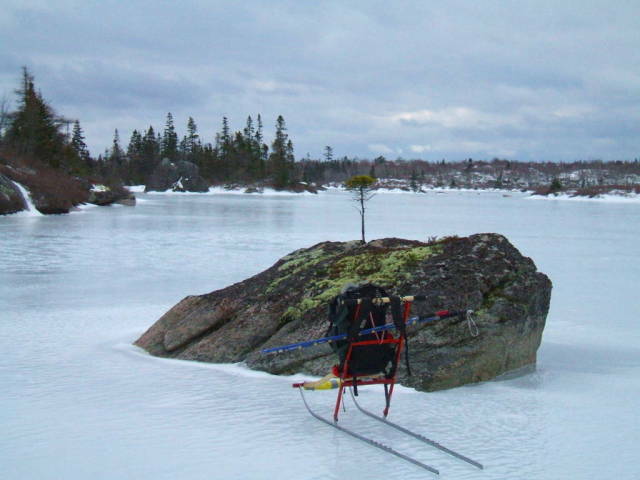 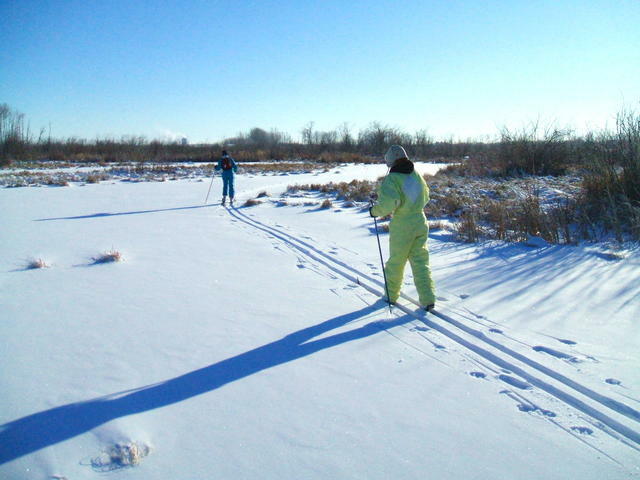 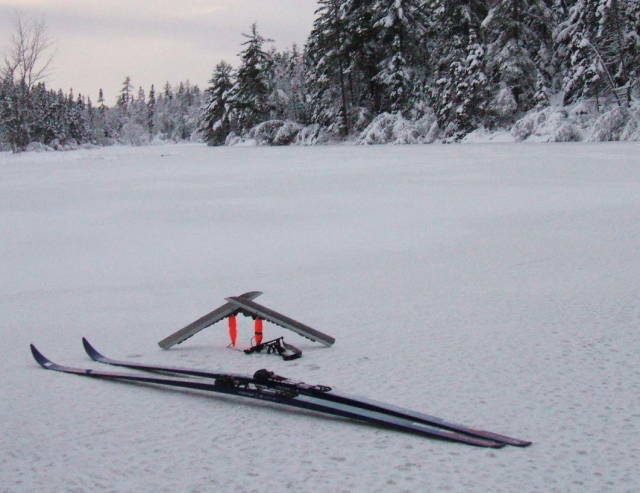 Feb 1 Big Hubley Lake ( 44-36.2N 63-50W) 5-10 cm of loose snow, it was a triple Nordic "S" event! 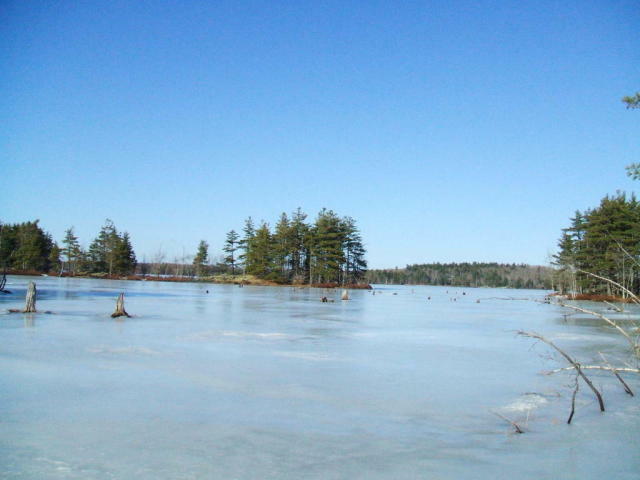 Feb 2; Peck Meadow Road, near Black River Lake. 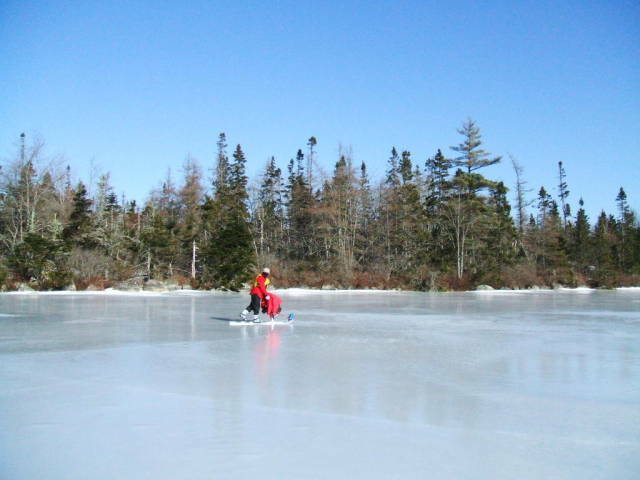 The lake wasn't very suitable for skates or spark, but the west end of Peck Meadow Rd was icy and unsanded- excellent kicksledding! 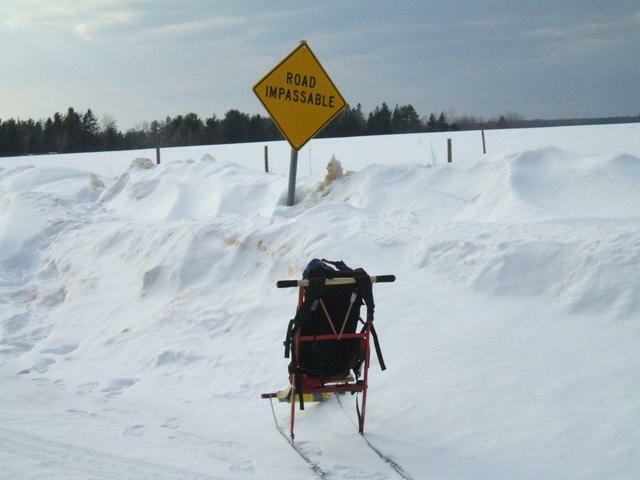 road was very passable on the spark! 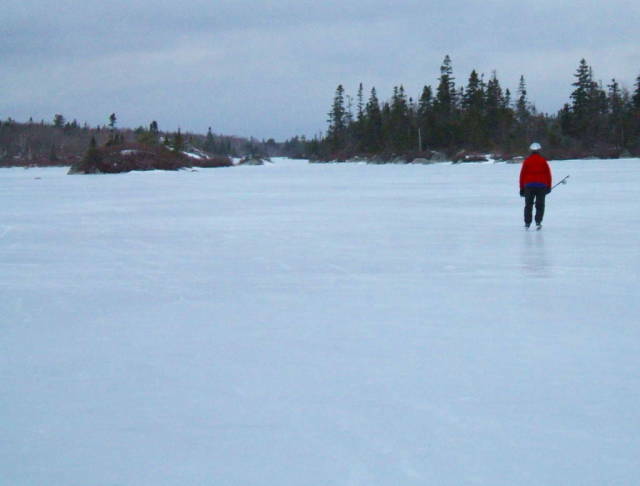 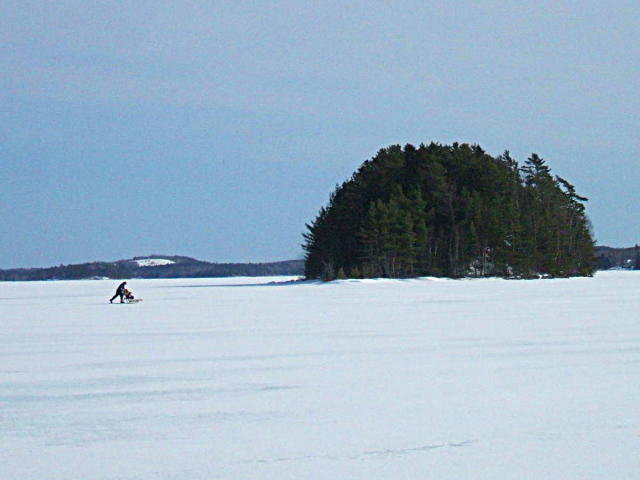 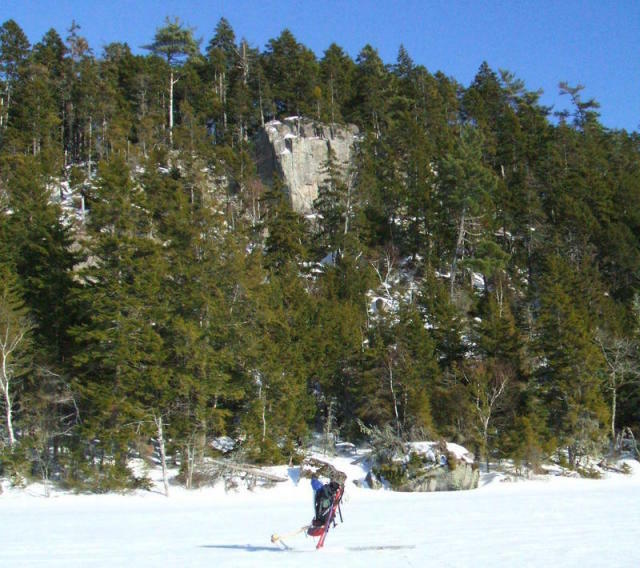 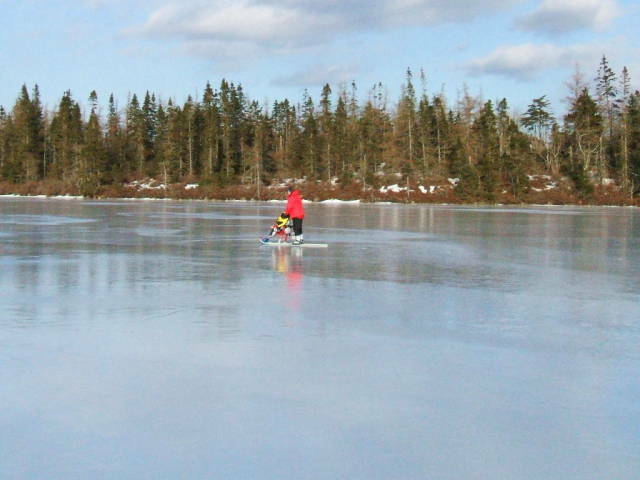 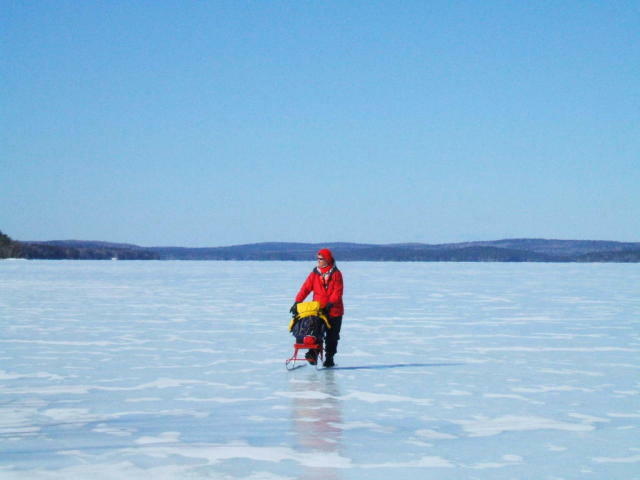 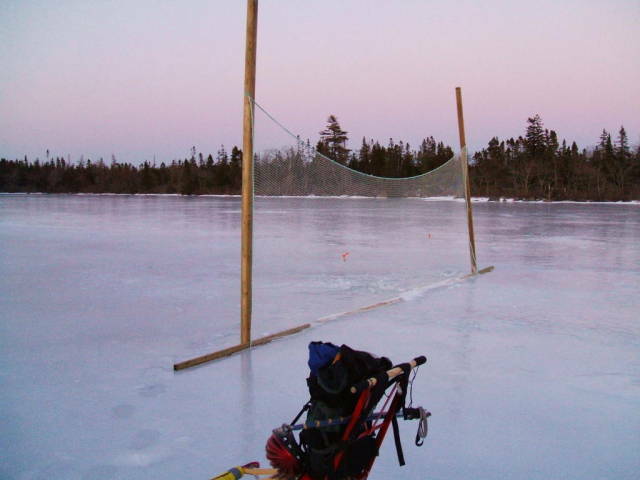 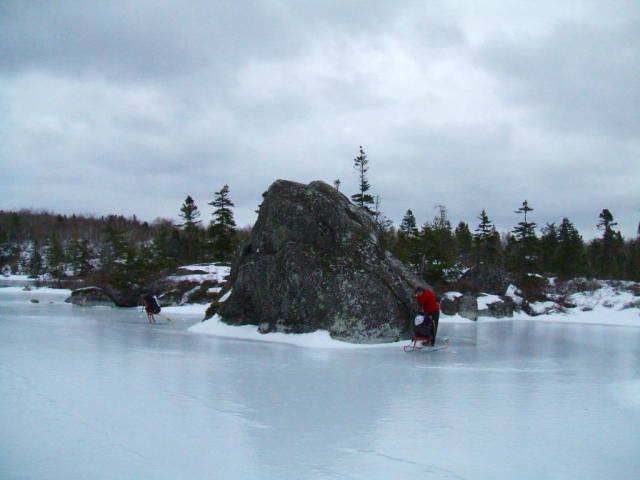 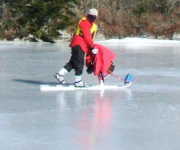 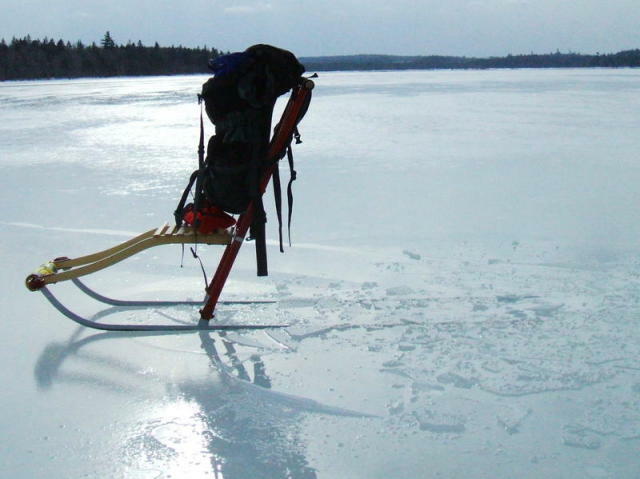 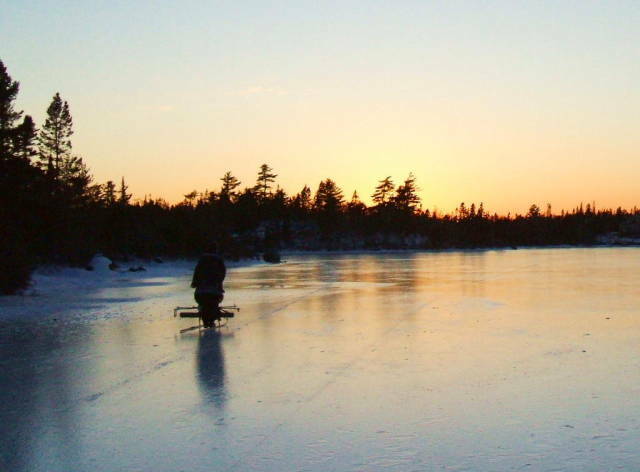 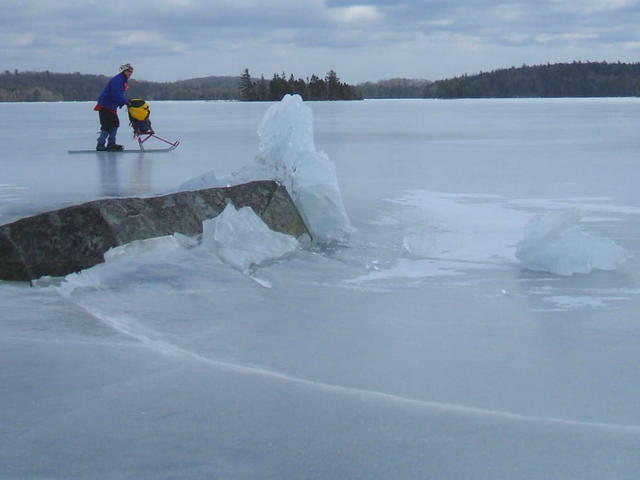 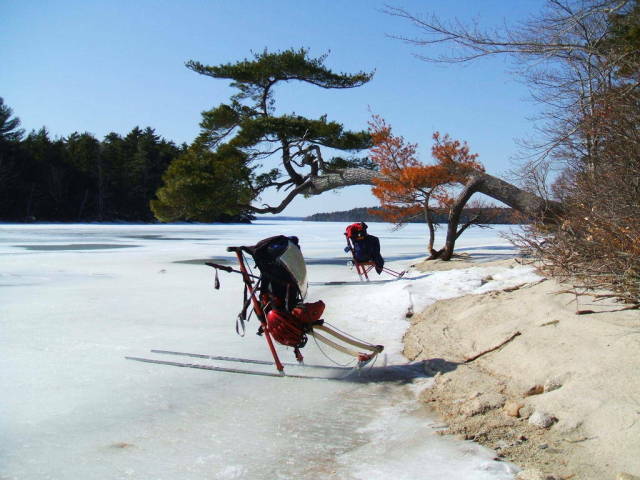 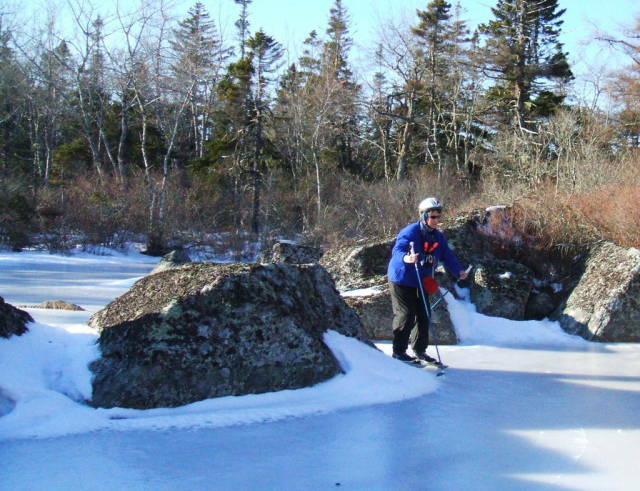 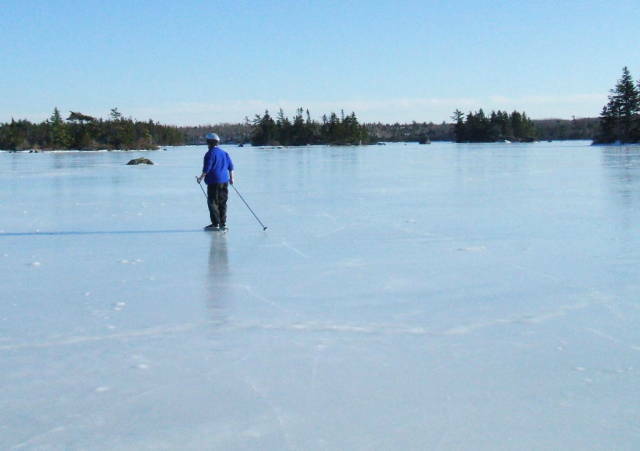 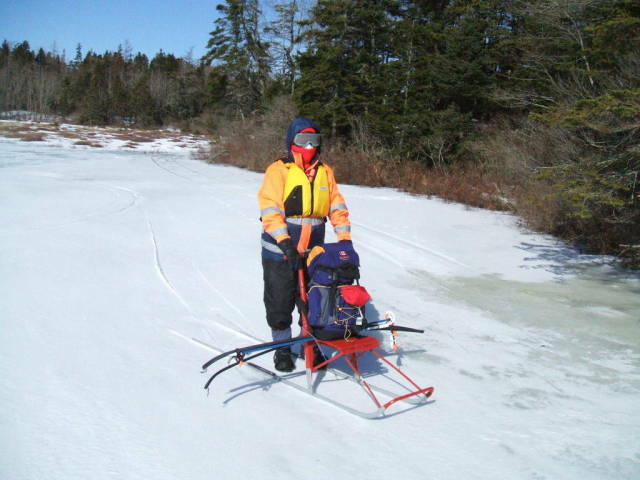 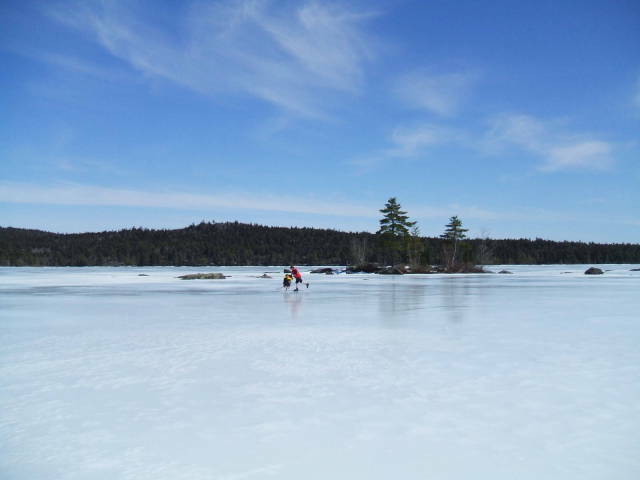 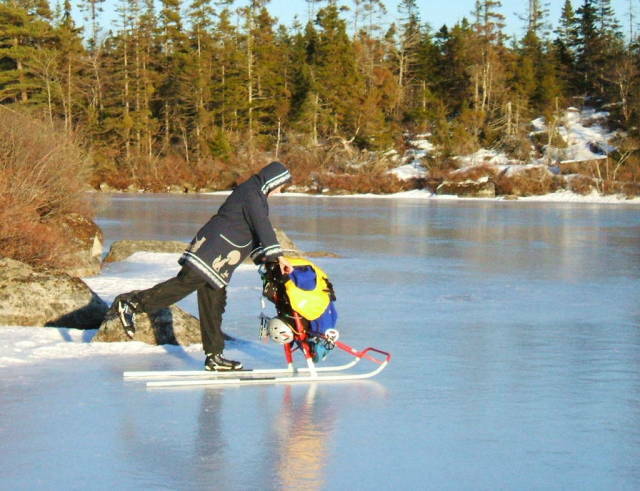 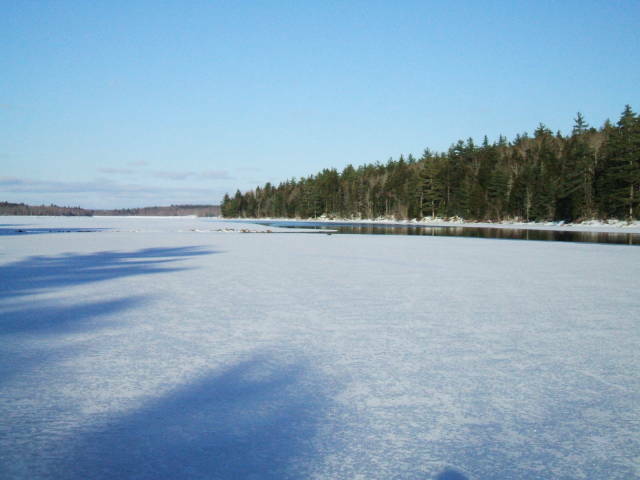 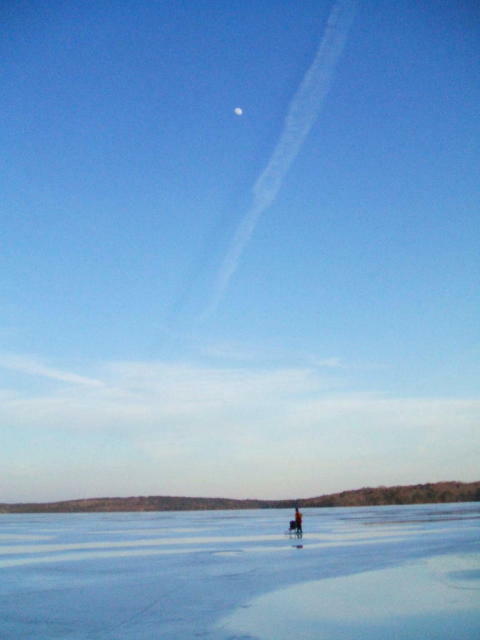 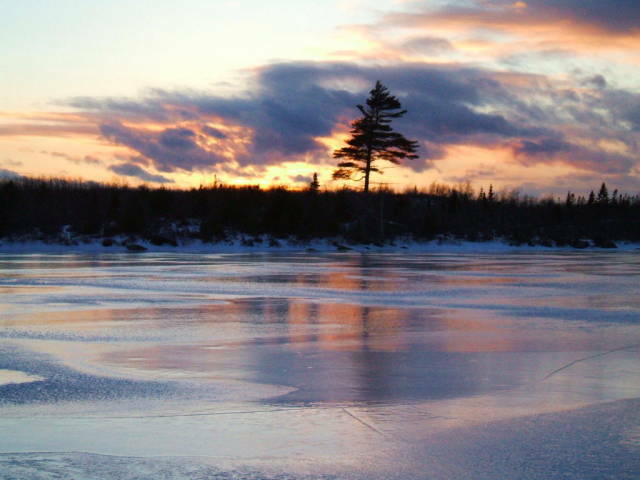 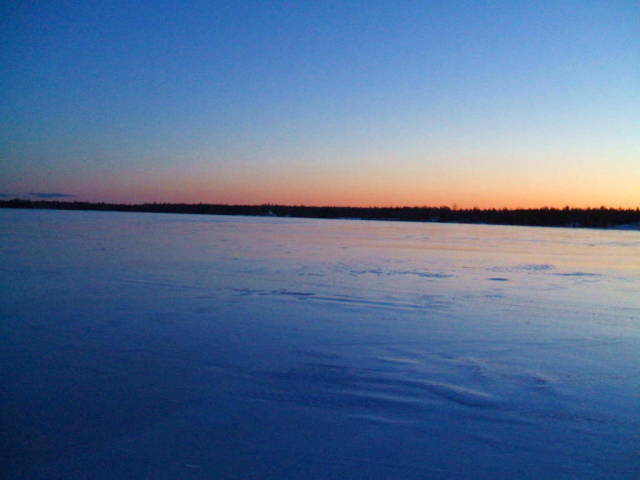 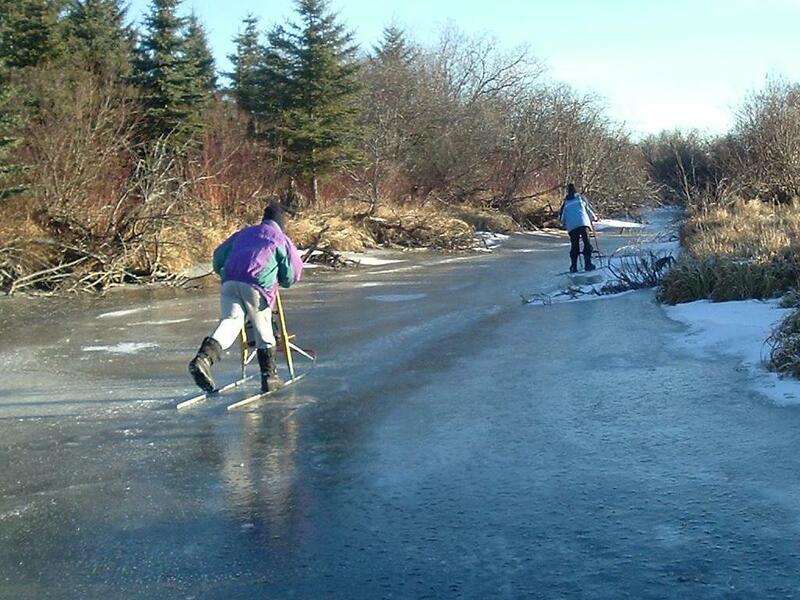 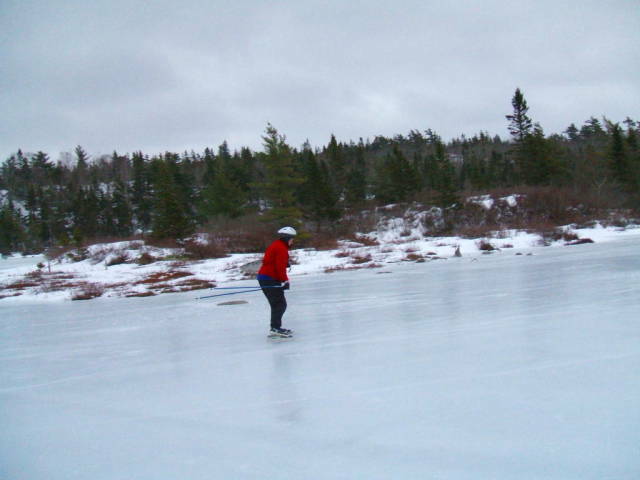 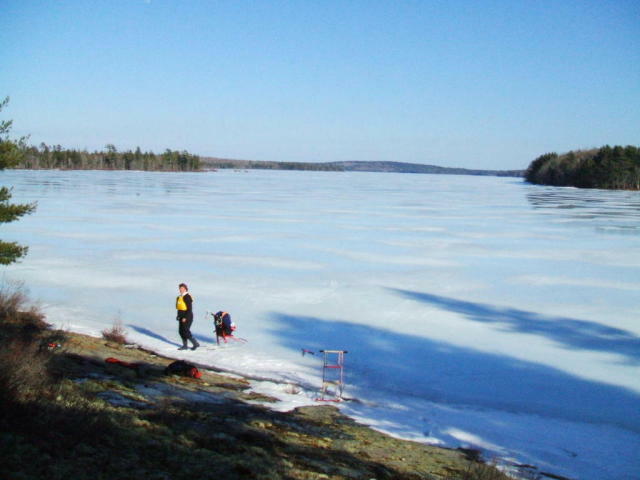 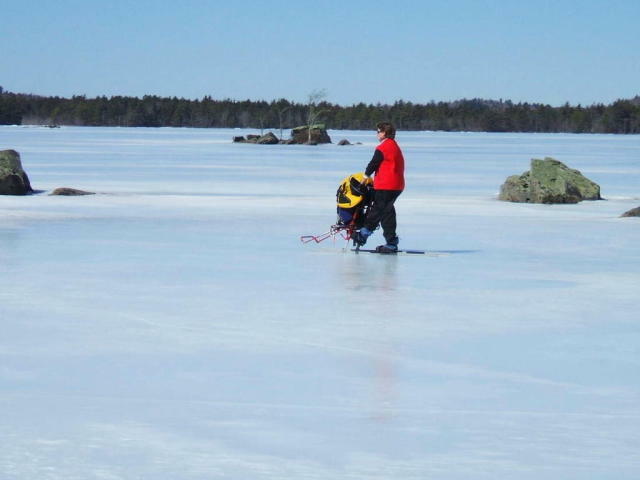 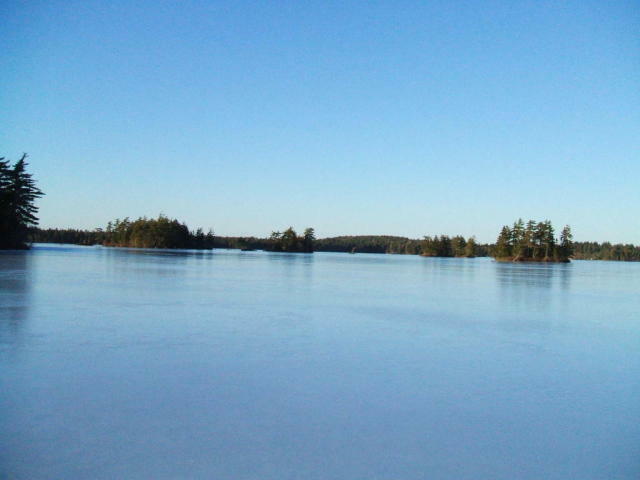 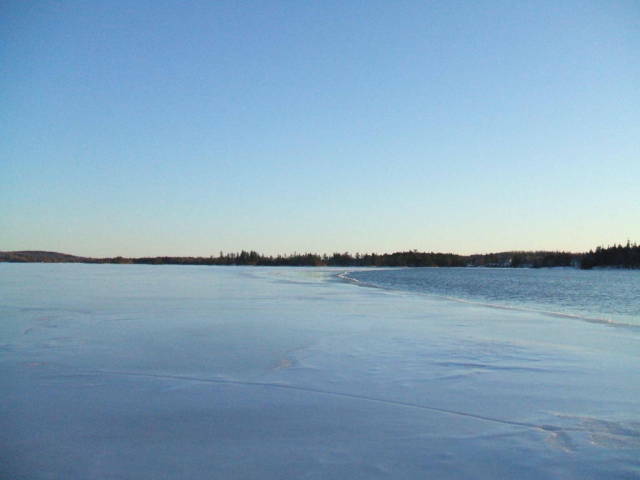 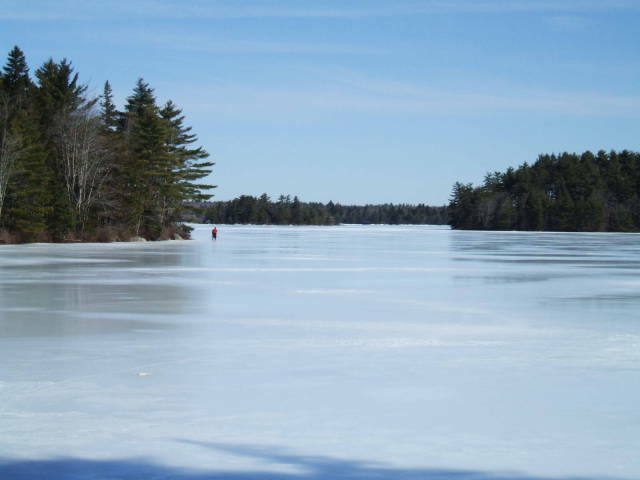 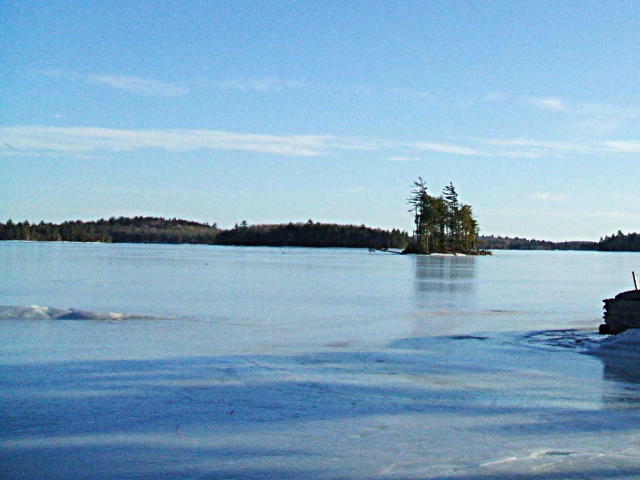 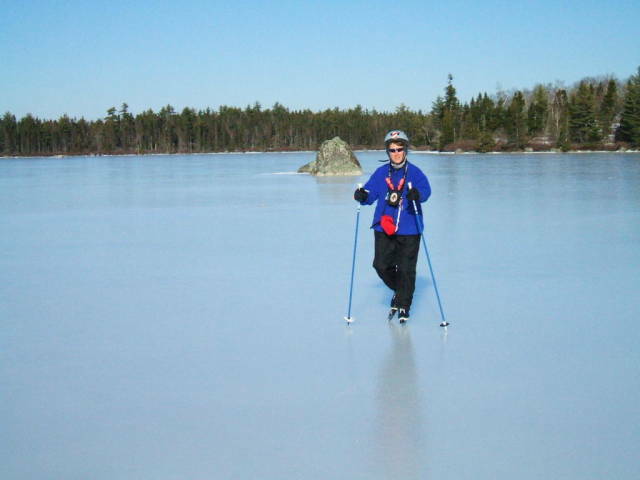 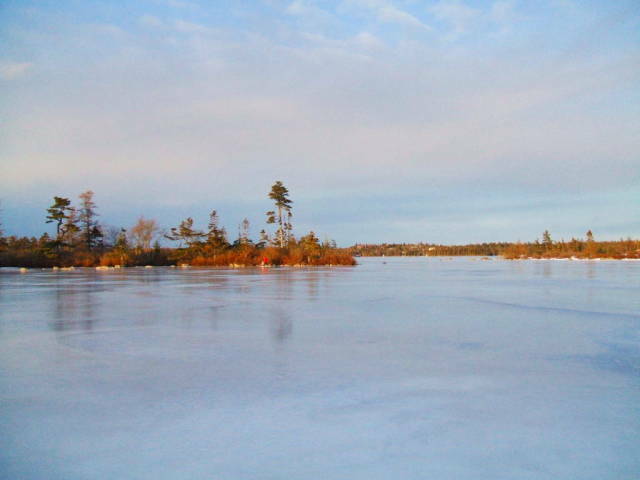 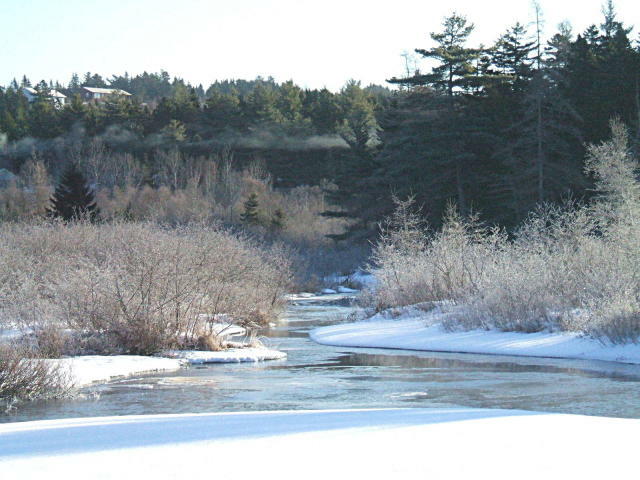 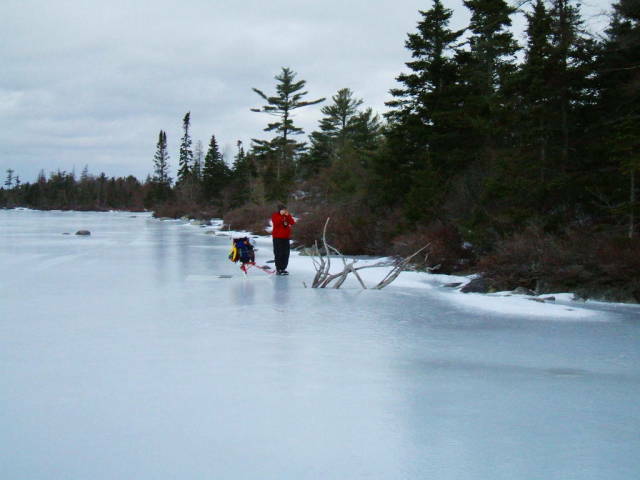 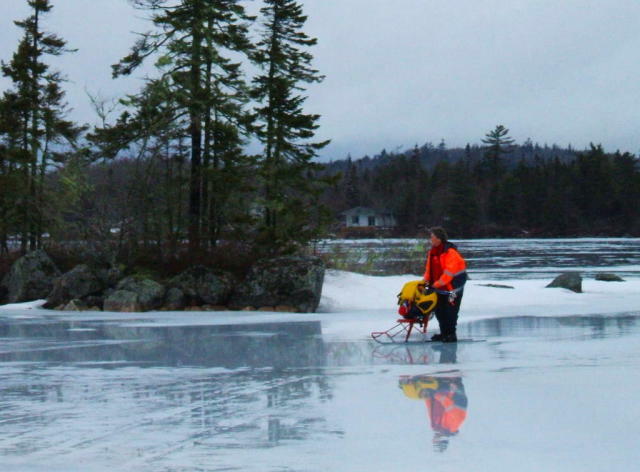 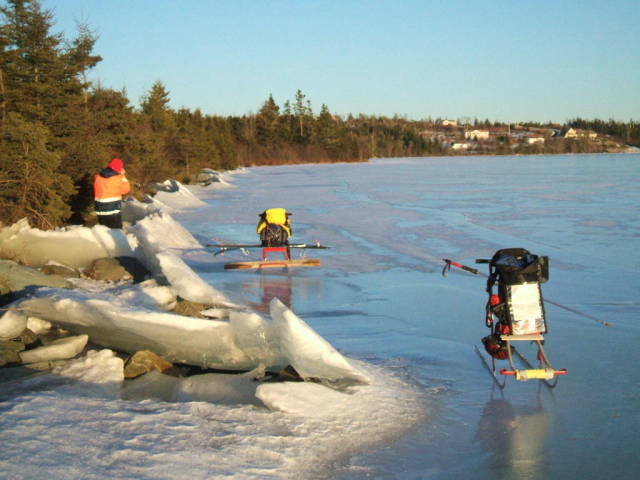 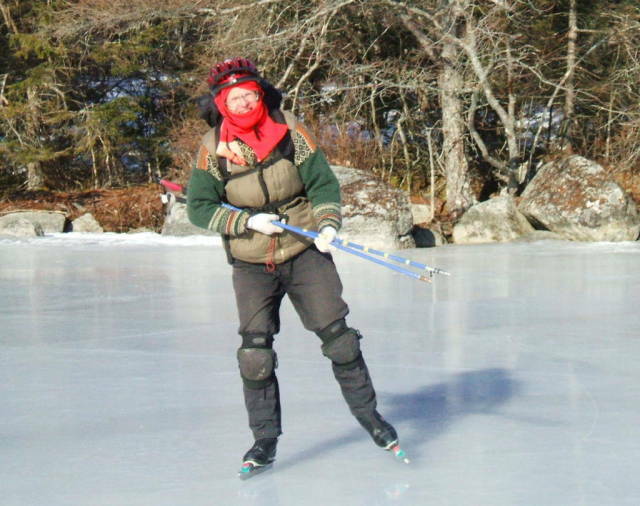 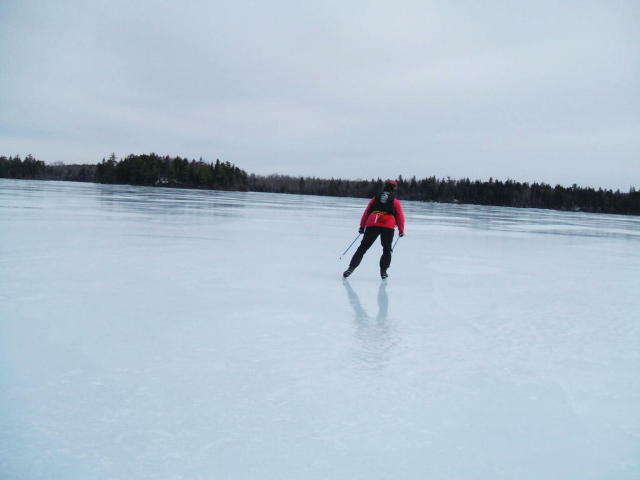 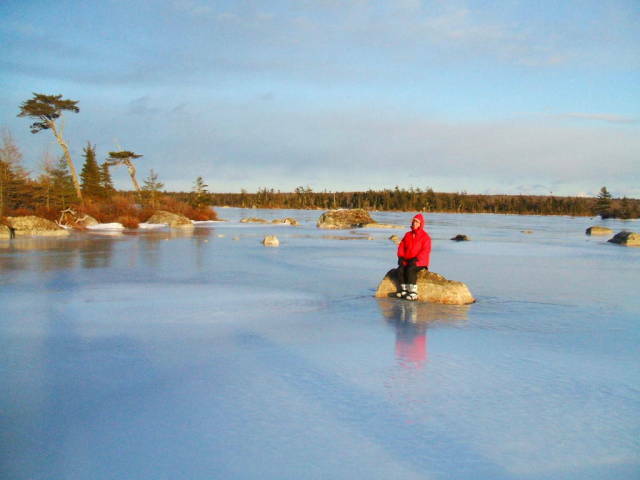 Lunenburg County has some of the best skating and kicksledding lakes in Canada! 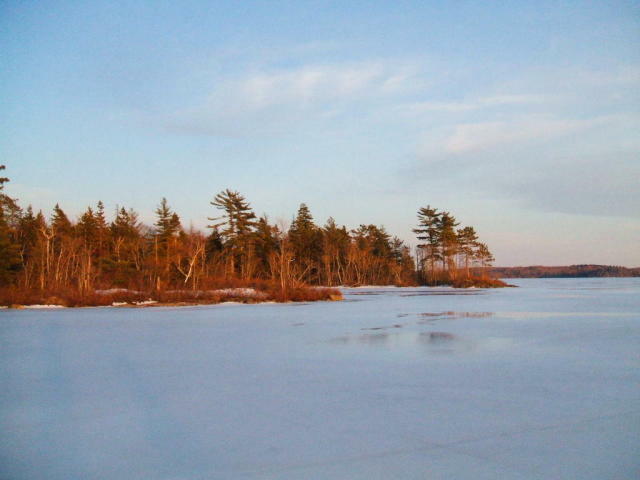 The first trip was to the east part of the county. 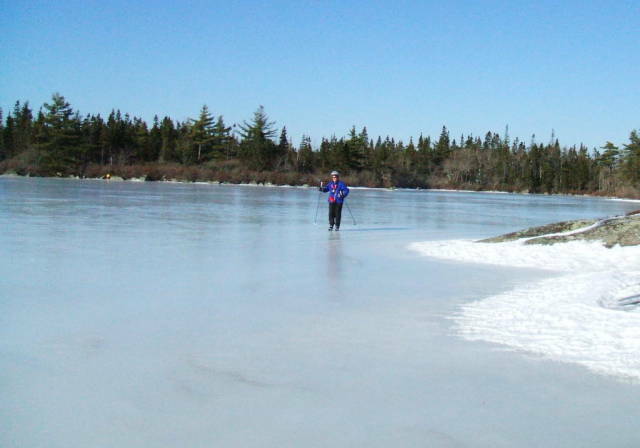 There is even a small lake, Stanford, just behind the motel in Chester, which was about 2 km around. 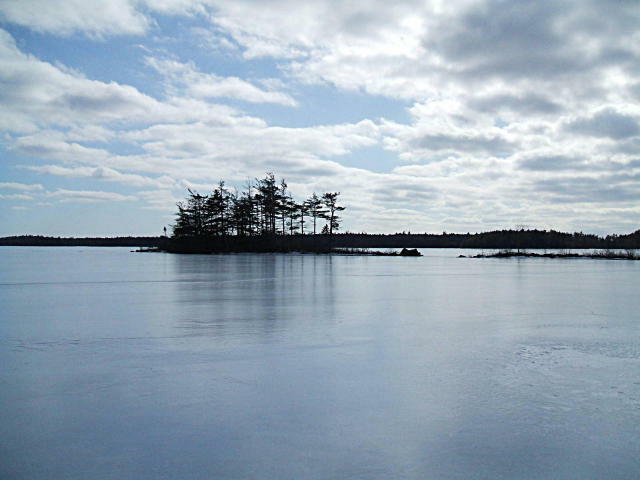 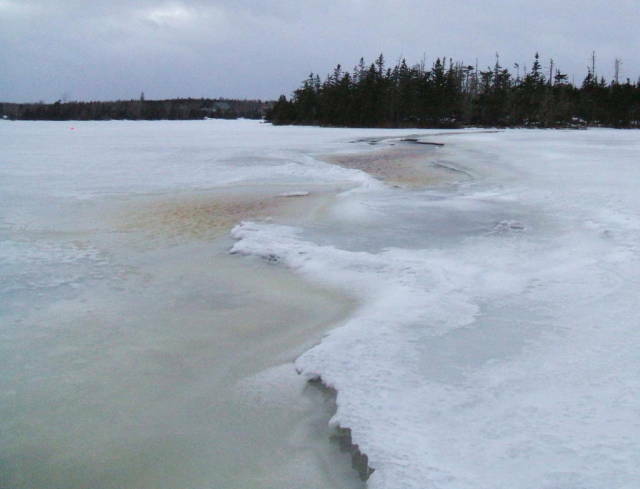 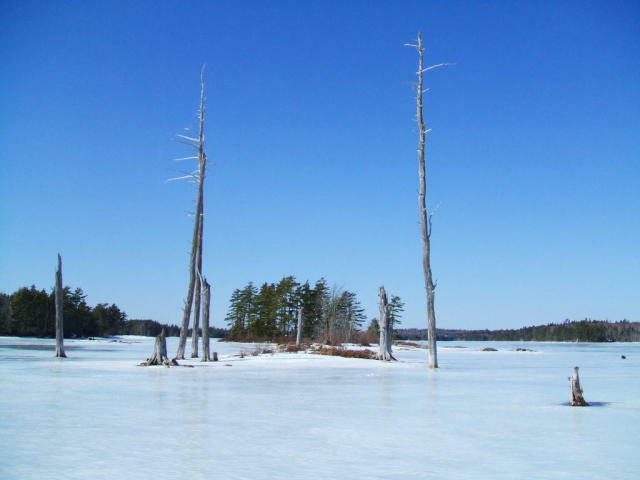 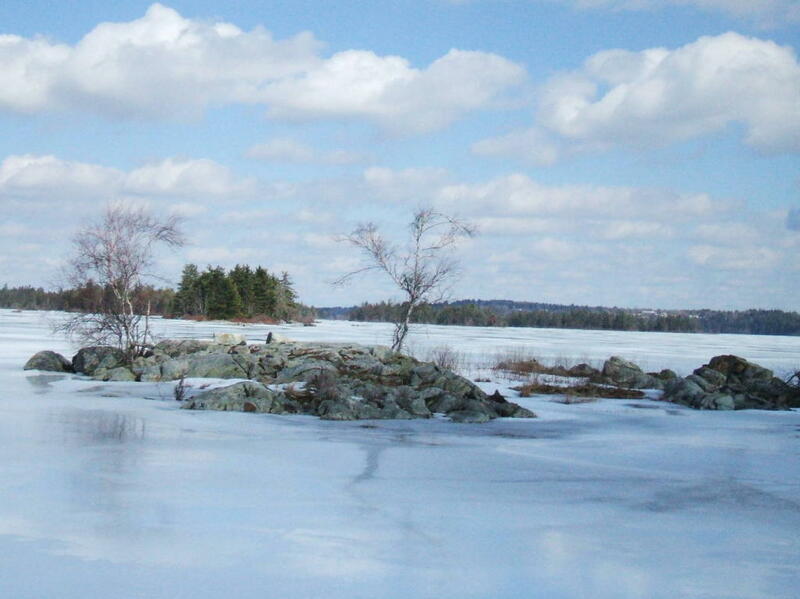 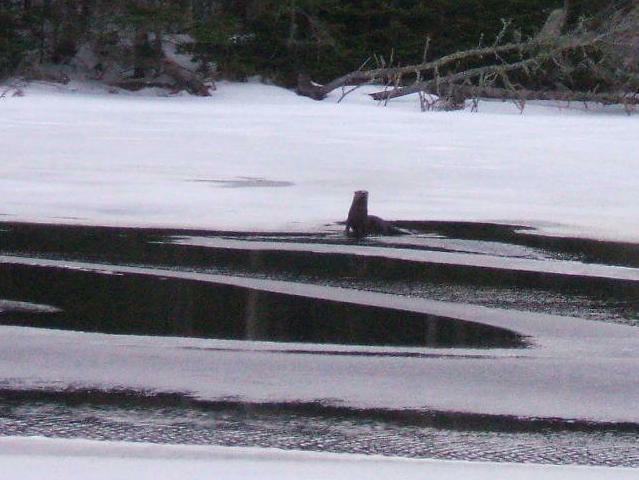 More Lunenburg County Lakes in the Bridgewater area.